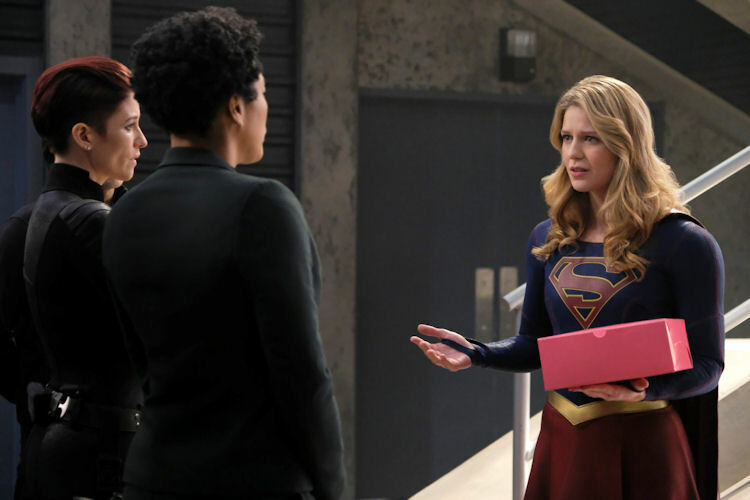 What’s the scoop: With the Alien Rights Act close to being repealed, the DEO’s resources are being diverted to cope with the inevitable protests, which leads to the show performing the most Supergirl act all season, which of course, is Kara offering donuts as a peace offering to the DEO as she asks for help tracking down Lex. Everyone agrees the best way to find Lex is to find Miss Tessmacher, his agent on the inside. 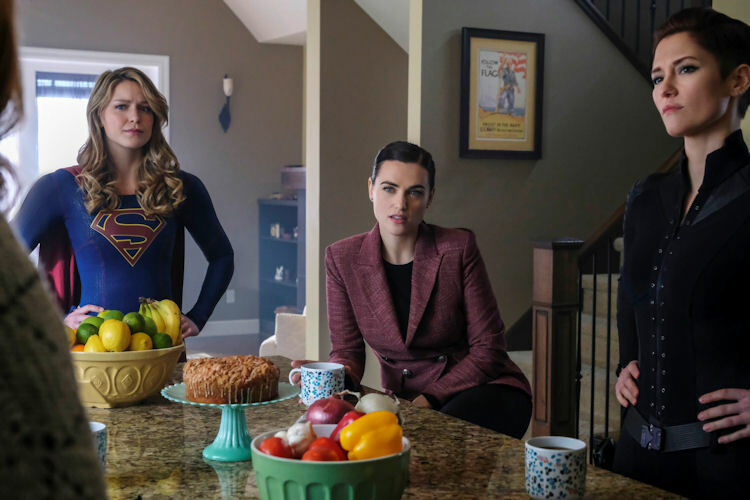 Kara and Alex team with Lena to retrace Eve’s steps, which leads them to an aunt Eve recently saved with the super serum. After a brief battle with a bonus Metallo, the heroes piece together large parts of Lex’s plan and all signs point to Washington, D.C., where there is a ceremony marking the repeal of the Alien Act. Meanwhile in B-plot land: J’onn has an identity crisis over his father’s desire for him to be a man of peace. During a meditation session, J’onn has a reunion with his father that is straight out of a Mitch Albom book. “They” (remember this is J’onn talking to himself here) discuss J’onn’s issues and come to the conclusion that his father meant him to be a protector of the people rather than a monk who is the guardian of an ancient alien religion. Now J’onn can be the Martian Manhunter guilt-free. Something didn’t quite add up here, I’m not entirely sure we’re done with Manchester Black yet. Something for Jimmy to do: With Jimmy largely disconnected from the main story and even the secondary one, Supergirl‘s perpetual third wheel gets his own segment. He argues with his sister over if he has PTSD. He finds out Eve Tessmacher shot him. He has episodes that may or may not be related to the Super Serum. He makes peace with his sister and she agrees to hang around for a few more episodes. What about the action: It all comes down to a pivotal scene at the big White House ceremony. Jimmy is on the inside telling Lockwood that he might be an unwitting patsy in Lex’s plans, while Kara is scanning the city for signs of Eve. Kara scans a suspicious-looking SUV and goes in to investigate. It appears she’s found Eve, but it’s a hologram and a trap. Lex’s kryptonite powered armor traps Kara and causes some kind of seismic event, meanwhile, Red Son Supergirl (dressed as the real Supergirl) burns her way into the Oval Office causes all kinds of havoc, spouts anti-human propaganda and buzzes a peaceful protest before flying off before the real Kara could do anything about it. The president declares martial law and Supergirl is now Public Enemy No. 1, but Lena and Alex are still on her side. What’s next: Chaos reigns as Lex seems to be winning. 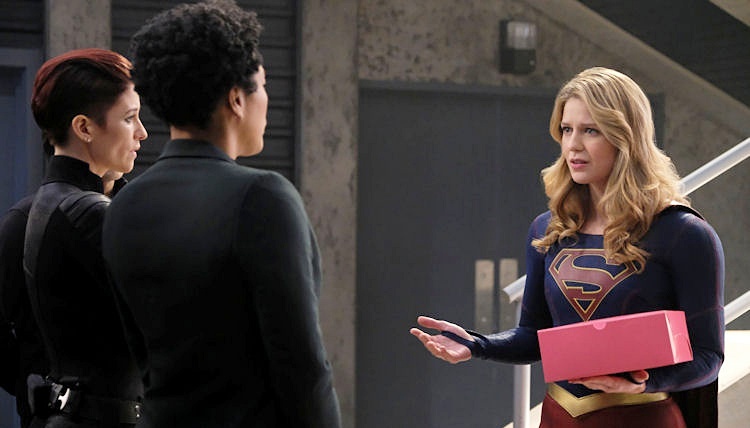 Last impressions: I’ve said it before and it bears repeating, Supergirl is at its best when faced with a problem she can’t punch her way out of. Lex is a classic Superman family nemesis for a reason and he’s being put to good use here. The Lockwood story has hung on for a while, but at least all that tedious Children of Liberty nonsense paid off some this episode and seem to be the main causes of discord in the next episode previews. The Lex episodes have been fun and engaging so far and it’s going to be interesting to see how the inevitable Kara Bowl comes together. 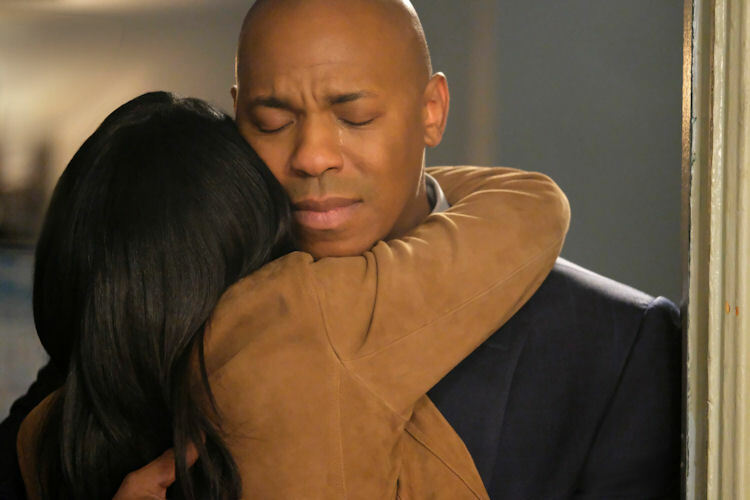 After spending most of the season as a chore, Supergirl has found its footing.